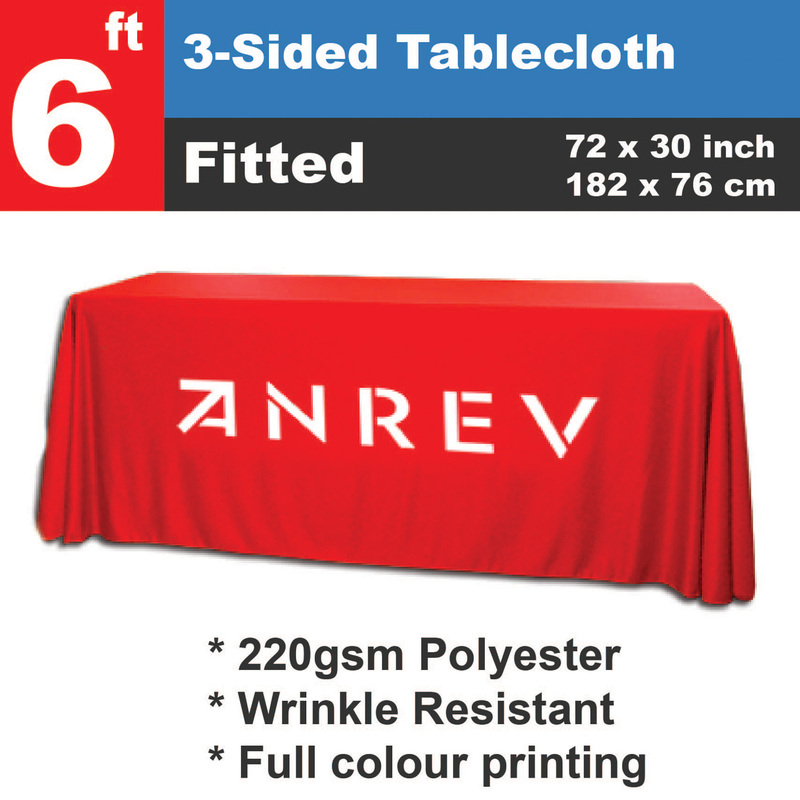 Ideal for conferences or exhibitions, our full size tablecloths can be personalised from just two pieces. 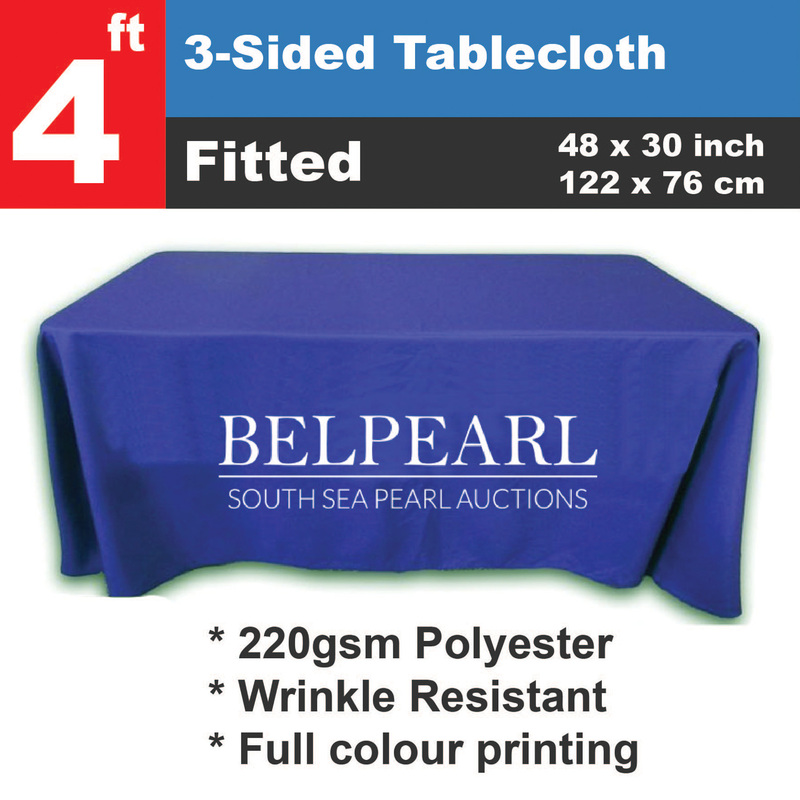 Choose your colour of cloth and a range of colours for the print. 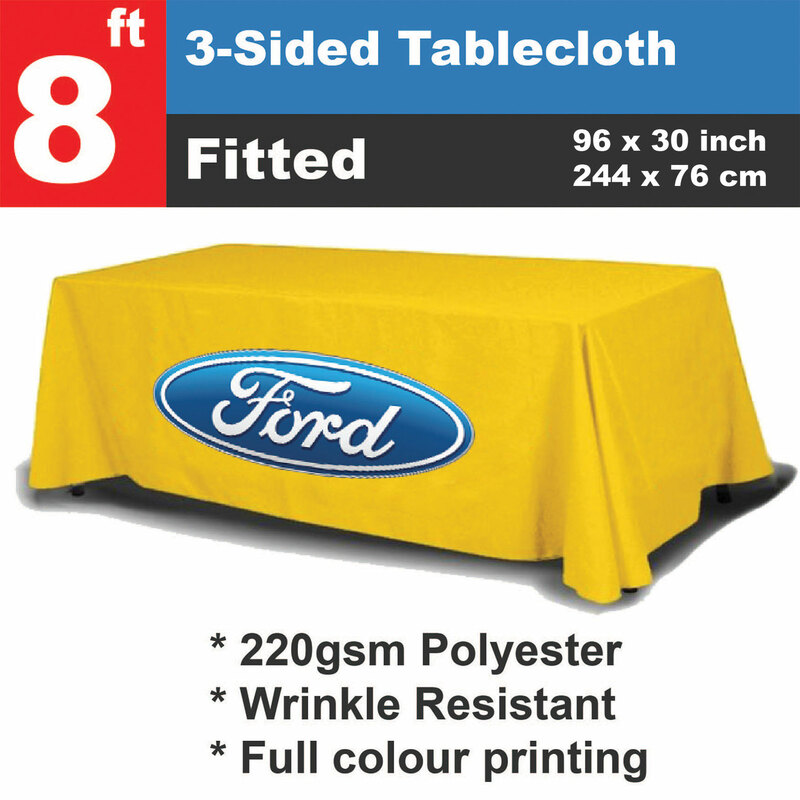 Standard size is 294 x 157cm which allows for full cloth coverage to the floor on the front and both ends and a small overhang at the back. This allows for easy access to stored items or unrestricted room for those sitting down.